WHEN SUBWAY cards began to replace unwieldy tokens in the early 1970s, commuters could suddenly swipe a magnetic strip to enter a retrofuturistic world of molded-plastic seats and whooshing doors. But tomorrow’s technology has quickly become yesterday’s. 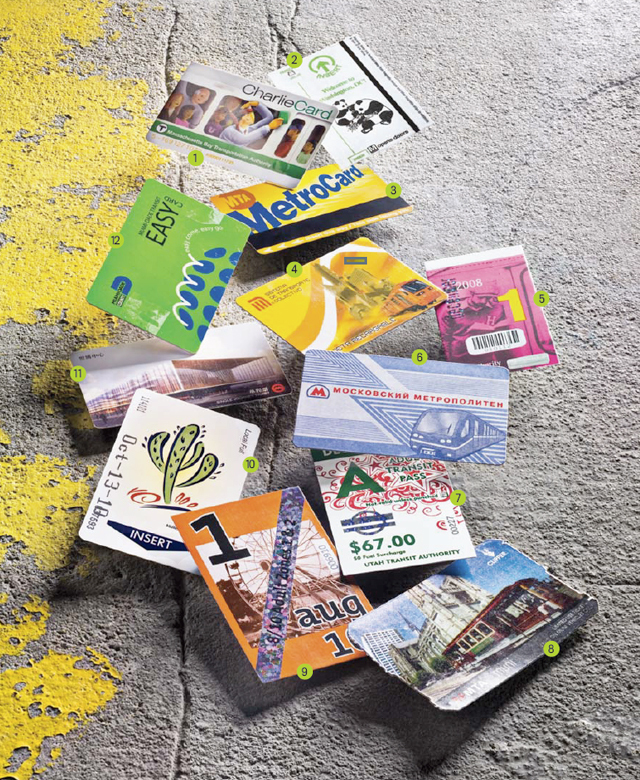 Dedicated transit cards — including the contactless smart cards of Asia and Europe — may be facing extinction, as more cities begin to take advantage of bank cards and cell phones. “We can link new systems to these accounts, rather than storing information on a separate card,” says Steve Brunner, a regional director for Cubic, which helps run the fare-management systems of New York, London, and Shanghai. U.S. transit riders — who took 10.1 billion trips in the past year — can expect the transition to happen in the next five years, he says.